A year or two ago I schlepped Maddie over to Westside Pavilion to the art class at Gymboree. The teacher was really good. M wasn’t so good. So we took a break. I didn’t hear great things about the art at Joslyn Park so I waited. We tried Gymboree again. New teacher and what seemed like budget cuts. “Everybody share this gram of glue!” “2 sequins per child.” It was ridiculous. If I have to be INSIDE THE MALL every single Friday afternoon, my child’s project better be spangly & shiny like the 4th of July night sky. So we stopped that after a month. M kept bringing up how much she loved art, and to quell my panic at the thought of going to the mall EVERY SINGLE WEEK, I signed her up for the class run through Santa Monica RecEnroll at Joslyn Park. Even if it’s no good, at least the kids can play outside afterwards. Expecting the worst we trucked on over there. I was really impressed by the structure of the class, the materials & Juliet’s skill at working with children between 2 and 4 years old. Since my kids are 2 and 4, I enrolled them both. 1. Introduction to Wassily Kandinsky’s abstract art. Maddie’s name was NAAAK or something like that. After class we eat lunch in the playground. It was very hot this day. Normally the playground is pretty full but it was naptime AND I snapped it the second it was empty in case people didn’t want their kids on the internet. Maddie is so happy with this class. Which is saying a lot since she is a real Mama’s girl who can be pretty moody. Bea? Bea loves using paint, whether she’s supposed to or not. Next session starts in January. Look for the name “SmART Space” in the name when you are browsing the classes. Click here for SmART Space LA class info! Back from vakay with a longggg to do list. What the heck! Let me get you this yummy salad how-to – still good for those end of summer picnics & BBQ’s. I’m making it tomorrow for the last “Jazz on the Lawn” concert. I ate something like this in July when I was up at Three Rivers swooning over the hard won success of my dear friend Chris Lynch & her writing partner Meg Howrey. You see, they not only sold their international thriller City of Dark Magic to Penguin Publishing, but they also got the thumbs up for the sequel! Go Lynchie & Meg!!! Two smart broads! We ate this at a dinner party up there. I couldn’t get enough of this. Neen and I had been wandering aimlessly around Sequoia National Park all day and arrived late & ravenous. How polite of us. With Nina’s help, I tried to replicate it when I got home and I’m please with the result! This salad is so satisfying, tasty & hearty. It’s REALLY easy to make. The most time-consuming part is boiling the grain which takes about 45 mins. First, cook your grain according to package directions. You can do this a day ahead and chill in the fridge. Just be sure to drain thoroughly first. Now drain & chill the barley. You don’t want it hot when you combine your ingredients. NOTE: I didn’t really measure anything. I just added ingredients and tasted. That’s partly why this is such a simple salad – you can add more of things you like or have. Stir to combine and add dressing ingredients. Whisk together dressing ingredients. Drizzle about half that on salad & stir to coat thoroughly. Taste & adjust, adding more dressing if needed. I don’t like a puddle of dressing at the bottom of my salad so I start light & add more. The barley will absorb the dressing but I liked this as leftovers for up to 3 days. Don’t let Maddie’s excitement fool you. She didn’t dig this. Bring a picnic/blanket and/or low chairs! Savory, satisfying salad. Perfect for cookouts & side dishes or as a main with some leafy greens! Cook barley according to package directions. Drain & chill in refrigerator. Drizzle about half the dressing over the salad & stir to coat ingredients. Taste salad & adjust to your tastes including adding more dressing as needed. Salad will keep in refrigerator for 2-3 days. Wheat berries or faro make great substitutions for the barley! 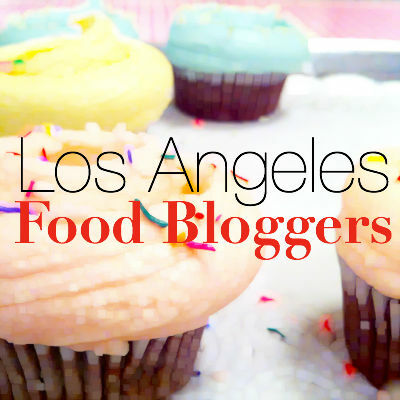 Why on Earth would anyone be baking ANYTHING here in Los Angeles? It’s in the high 80′s already at 11AM. I had this baked oatmeal in mind last weekend or week when it was getting cool & fall-like out and since I had all the ingredients, I went for it! This recipe is great for a wholesome breakfast that can be reheated. Make it Sunday night and you have breakfast ready for the week! I can’t help but notice these photos in the background. Who are those good-looking lads? Those aren’t lads! That’s my sister and me!! My mom liked to keep our hair short. 2. Combine dry ingredients in a large bowl. Feel free to add a teaspoon of ground cloves if you have them. Or don’t! 4. Add wet ingredients to dry & stir until combined. Add any of the optional ingredients you desire (i.e. have)! 5. Spread into greased loaf pan. 6. Bake for 25-30 minutes (depending on your oven.) I did mine for 25 minutes because I don’t like it too dry. 7. Slice & serve! You can eat it as-is (sliced on a plate) or serve in a bowl with milk. This keeps well in the fridge for about 5 days. I haven’t actually had it longer than 5 days. Bea loves it. Maddie doesn’t care for it. George has a raisin issue. He likes raisins solo but he doesn’t like them “in” anything. These are curious issues upon which I am not qualified to comment. Easy, wholesome breakfast that can be made ahead for the week. Perfect for the fall/winter to keep you going all morning! Preheat oven to 350 & grease a loaf pan. Beat wet ingredients in a small bowl. Add wet ingredients to dry & stir thoroughly. Add any optional ingredients you like! Serve as a slice on a plate or in a bowl with milk. Can be reheated for several days if kept in fridge. ENJOY! 2. Replace half the butter with apple sauce. VERDICT: Some butter is yummy! This is NOT news. In the future I’ll use 1/4 c butter and 1/4 c apple sauce. Still cut the sugar as I think 1/2 c is still a lot of sugar. Also, try to use apple sauce with no sugar added. The ingredients should say, “apples” and nothing else. What variations did you try? I’d love to hear from you below!